Weiler - Koch Machine Tool Co.
Weiler E Series and V Series precision lathes are designed for one-off and small batch production. As simple and rigid as an engine lathe and as versatile as a CNC lathe. Ideal for small lot runs and proto-type parts, parts requiring deep boring, repair and service facilities – putting power in the hands of the machinists. 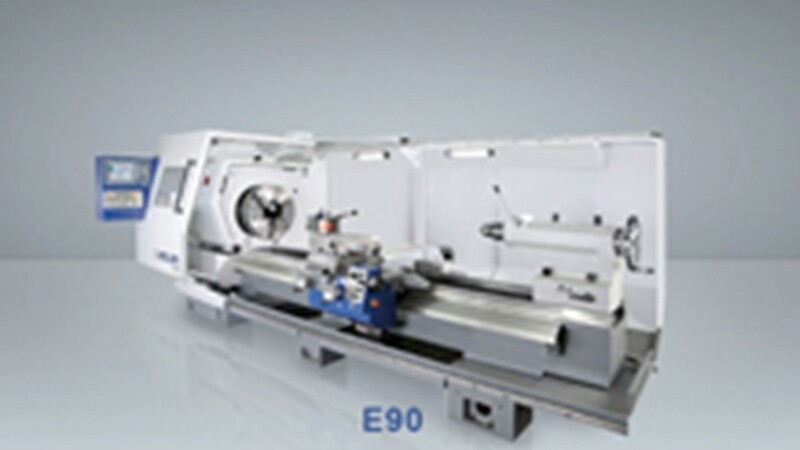 The E-30 is a precision tool room lathe with automatic cycles. The perfect lathe for small batch production, on small, high precision machined parts. The massive machine rightfully conveys the feeling of solid performance. With a spindle bore up to 8.5”, this machine can handle the rigorous needs of the oil tool industry. The absolute top of the class of heavy weights. These models of the E-Series are even bigger, heaver, and more stable. 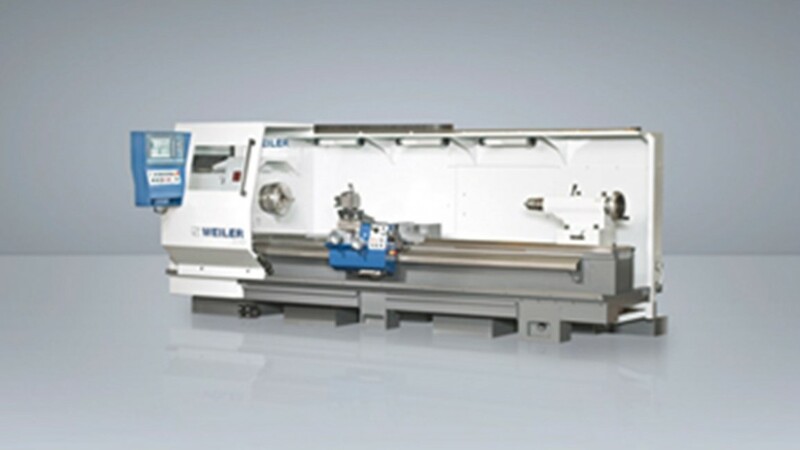 Weiler's E Series lathes were designed for cost effective and efficient for one off and small batch production. As simple and quick set up of a precision engine lathe with the versatility of a CNC turning center. Ideal for job shops, repair facilities and prototype work. The E-50 is the perfect lathe with power and precision to perform a wide range of work. These cycle controlled lathes are the super heavyweights. With spindle bores up to 14.25”, these machines can handle parts up to 22,000 lbs & 472” long. The V-Series was developed with 4 ways for the economic machining of long work pieces, that allows the slide to pass the steady rest & tail stock. The Weiler V Series was developed with 4 ways for the economic machining of long work pieces with a pass thru steady rest. Built with similar philosophy as the quick change over in the E Series.